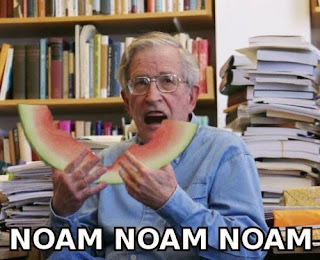 Heh: Noam Chomsky to become new X-Factor judge. In his first outing as judge, Chomsky quickly made his mark. ‘Your act is part of a propaganda state promoting a culture-ideology of comforting illusion’, he told one hopeful young girl, before adding, ‘I’m saying yes. That's really just an excuse to post this, however. 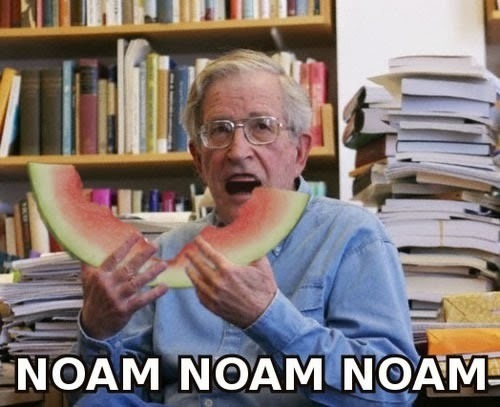 When the universe sends you two Noam Chomsky jokes in a day, you are morally obligated to pass them along.